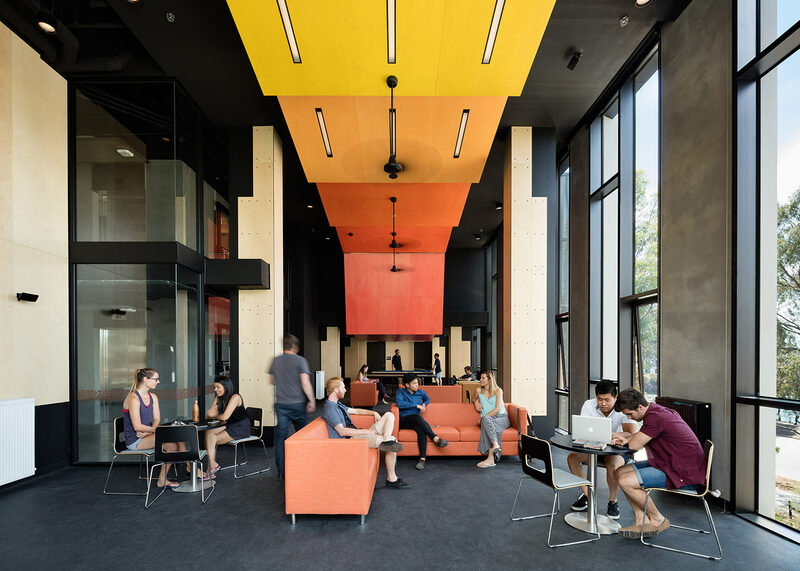 Holman Hall, a student accommodation building at Monash University’s Clayton campus, has won the 2016 Dulux Colour Award for Multi Residential Interiors. Hayball and Richard Middleton Architects designed the 6 level student apartment complex, and its neighbour Campbell Hall, as a rich urban experience for a cohort community to develop and flourish in. A colour palette that gently graduates from pale golds through to rich reds has been utilised to create an identity for the building, assist in way finding through location-based colour and create a warm lantern effect externally at night. View Dulux Colour Awards 2016 Winners on ArchitectureAU.